A General Blog, posting daily, funny & serious events from life plus sharing my artwork, thoughts, reviews and photos! Samsung Galaxy S III Designed for Humans ! Fail !!!! Everybody was waiting for the launching date of this amazing device, and can't wait to know the look and/or the features of it. I know it's actually late to post this right now, but I would love to brief you about it before I proceed. Screen size is 4.8 inches (720 × 1280 pixels), 16 M colors. Which is pretty good. Comes with 16, 32 or 64 GB internal storage & 1 GB RAM. External storage space up to 64 GB (micro SD). Wi-Fi & Bluetooth (v 4.0). Primary Camera is 8 MP (3264 × 2448 pixels), auto focus and LED flash. Camera features: simultaneous HD video and image recordingm geo-tagging, touch focus, face and smile detection, image stabilization. Secondary Camera is 1.9 MP. Operating system is Android OS (Ice Cream Sandwich). Device colors: Blue & White. All of the above features sounds great, the look of the phone is nice as well, but I didn't like the round corners. I feel that it would give you the feeling of being uncomfortable using this phone ! But who knows it might be different or gives you a different feeling all together ! 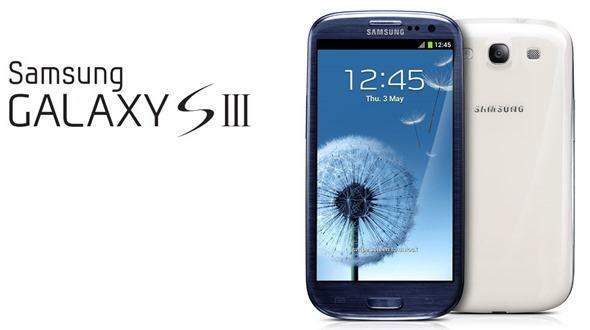 So far, Samsung has done well in creating this phone as well as launching it. But, I have noticed that it didn't give the phone that huge publicity or advertising ! Maybe not as much as other competitor companies such as Apple. 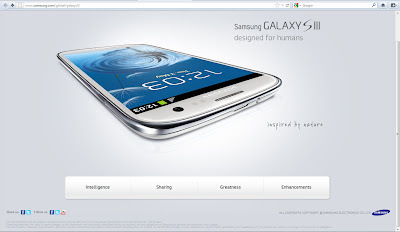 However, when I was checking the official website of Samsung Galaxy S III, to check out the features of this new device I was shocked to read "Samsung Galaxy S III designed for humans !" This is really such a big mistake, how could such a big company as this say such thing ! What else could it be designed for ! Or do you mean anyone who is using another phone is not human ! Or all the other phones are designed for animals and this phone is for human beings ! Well, maybe Samsung didn't mean any of this, but still there are some people who might get offended by only reading this sentence. In the end, I strongly believe that this was a big fail for Samsung; as a company they should make people want to buy their products without being offended, and they should consider all types of customers as well as their competitors. It's amazing how fast they work on updating their application although it was published just recently ! This is the new update of Gifture app. Fixing some bugs and errors. It's been a while since the last time I drew something, I have been really busy in so many things. What is QR Code ? I was always wondering what does this code mean ! I've seen it recently in so many places, but I never knew what is it all about ! Until I decided to do my research. The reason why I did this research is to let people understand and know what this code can do. It is nice to be involved in such a new technology that might help you in near/far future somehow. I am planning to make this as simple as it could be in order to be easy for everyone to understand. So here we go, we will start with a small definition of QR Code. Believe it or not, this code was designed back in 1994 by Toyota subsidiary Denso Wave to track vehicles during the manufacturing process, it is one of the two dimensional barcodes that was designed to allow its contents to be decoded very fast. It is all about having three big squares with other small dots that contains all of the information you have entered right there. But the real question is, will this QR Code be useful to be used by everyone ? Or is it really worthy to use this code as a company ? Let's discover this out. The reason why this code can be more useful than a normal barcode, is that they can store (and digitally present) much more data, including URL links, GEO coordinates, and text. The other main feature of QR Codes is the easiness of reading this code by scanning them using your mobile. Many modern cell phones can scan them by using a specialized application. Such as "QRReader" application - its a free application for iPhone devices. You may download this application from iTunes using this link. 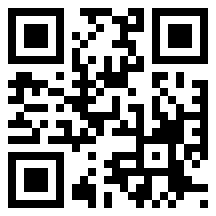 Like for example, the QR Code in the beginning of this post will direct you to my blog as it contains my URL address. When do QR Codes work best ? And when you better avoid using them ? Galleries/Museums - where you can use your QR Code to explain the painting, or mention the history behind it. In-store - where it would save a lot of time and paper works for staff as well as the managers. Billboards - around town in settings where people are walking around. Public transportation - where you guarantee that people would stop and see it or actually read it. Shopping - I believe it would be very useful for shopping centers or shopping websites to use this code, where it would help people to know the full details they wish to know and would save plenty of time somehow. TV advertising. I don't think people might be able to turn their phones on and actually try to read this code. Highway billboards. I mean with a common sense, who would scan a QR Code while driving his/her car in the highway ! Creative designs - it would definitely ruin the image of the design. In my opinion, QR Codes should be used only in certain areas and not everywhere or by everybody. Not to mention that 60% of the population who are not using smart phones can never read this code. In the end, its all about strategy, knowing your customers and how to be reached ! 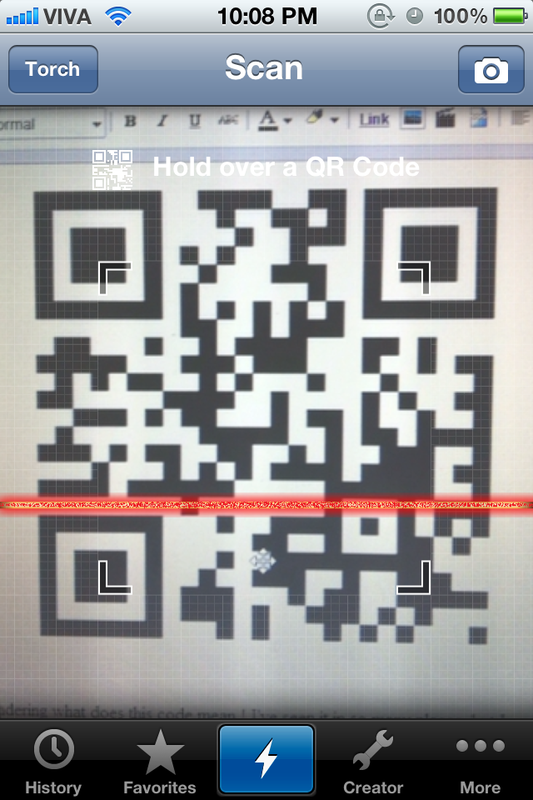 If you wish to create your own QR Code, you may do it through this website. Hope you have enjoyed reading this post. Gifture a complementary application of Instagram App ! 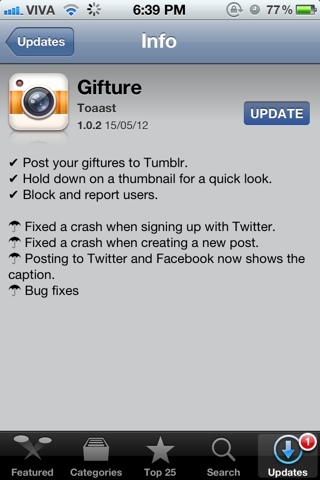 Gifture application was released on April 26, 2012 with the size of 6.3 MB, version 1.0.1 from Toaast Incorporation. It is compatible with iPod Touch, iPhone, and iPad devices running version 5.0 or later of iOS (but not with Android devices yet). You may visit the application's main website from here. Gifture app gives you the chance to create a short movie or what we can call a "GIF" animation from images on your camera roll, or immediately from original shots. Better yet, this application is free "God knows for how long" and allows you to create your GIF photo in no time, with a bunch of different filters to apply. In order to start using this application all you need to do is to create a new account by entering your email and follow the steps, or you can log in using your Facebook or Twitter account. As soon as you log in you will see a similar design to that which you see in Instagram. To start creating your own animation, tap the application camera icon and start taking pictures as many as you like. First of all there are two options to snap pictures with: the auto and the manual mode. The auto mode will create a video-like GIF photo when you hit the save button, as it collects ten frames per second. While the manual mode will bring out your master piece, where you can manually select the moments you want to use in your animation. After you finish taking photos, it is time for you to apply filters (or not); Gifture has seven Lo-Fi filters such asB lack & White, Sepia, Pop, False Color, Vibrance, Monochrome and Invert. Since you are still in the editing phase, this app allows you to delete or save any individual image by tapping the "Edit Photos" small icon. Moreover, it allows you to even adjust the frame rate between one and ten frames per second. After you are done with editing your photos (GIF), the transformation process begins (I suddenly feel like I am back to studying business administration :-p). However, this process takes only few seconds to produce your GIF or short video; where you can share it either via Twitter or Facebook. Direct links to the image can be shared in iMessage, text messages, and email. To download this application from iTunes Store, please visit this link. To follow their updates and feedback on Facebook, please visit this link. Google GMail with a new upgrade ! Celebrating the lunch of the new storage service "Google Drive" i.e known by "GDrive", Google decided to award its customers for their support by increasing their GMail storage size by 2.5 GB of additional storage. So the storage of everyone's email will be increased from 7.5 GB to 10 GB. The official announcement was published in Gmail official Blog here.